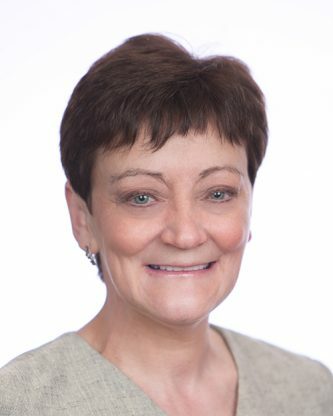 Veterans & Family Support: Free Talk Time! As an organization comprised entirely of combat veterans, the VFW understands the importance of keeping military families in touch. That’s why in 1996 they created a calling program for deployed service members that provides free phone time to active-duty military personnel and hospitalized veterans. The program initially began with calling cards for deployed and hospitalized troops, and included several days throughout the year when deployed service members could call home call for free. To date, the VFW has provided more than 10 million free connections for service members and their families. The VFW Veterans & Military Support program provides virtual PINs in place of actual calling cards. The number of PINs you request will be emailed to you along with dialing directions for you to provide to hospitalized veterans. Each PIN comes with 100 minutes of free talk time. It is recommended that you distribute the PINs by putting them on business cards along with the dialing directions. You should provide the PINs to your hospital contact or key volunteer so they can distribute the PINs to the patients for use. This will allow more than one patient to use each PIN. 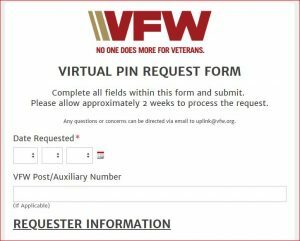 To request the virtual PINs, complete the Virtual PIN Request form at https://VFWPrograms.formstack.com/forms/virtualpinrequest. PLEASE NOTE: This is a new form that is being used to request virtual PINs. Discard any old forms you may have used prior to this notice. The list of PINs that will be emailed to you will look like the example shown. They are preset to print on plain paper to cut apart or on Avery Labels sized 1” x 2 ¾” to peel off and stick on the back of a business card. I “Believe We Can Do It” – we can distribute these PINs so that veterans and their families may remain in touch when needed. Help me show those who have served our country that we think of them each and every day!